On a shoestring budget, and a book advance on the to-be-written book, Devapriya Roy and her husband Saurav Jha set out on their ‘gap’ time. When I began reading the book I thought it was one of those run of the mill books on discovering yourself as you discover India. Truth be told, The Heat and Dust is that – and then some more. The places the authors visit are to be found in most foreigners’ books on India but the Indian perspective makes for an interesting read. 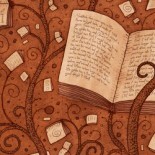 The voices of both the authors are distinct, as are the topics they cover. In some places the narrative does not seem to connect, but like India, that is the charm of the book. I could almost visualize Devapriya jotting notes furiously into her little notebook and Saurav mulling over his articles. The overriding concern in the book is about the choices we make as adults. How do you sustain relationships and meaning when the paths that we all choose growing up take us to different places? Some friends follow the Indian economic dream while some choose to be true to their art and passion. How do dynamics in friendships and in the social structure change with these choices? Did the authors find a meaning to their lives through their discovery of India? In a sense they do – they plan to write and earn and travel. But I did not get a sense of their personal growths, and if there was a shift in their relationship or how they changed and grew as people and a couple. The book ended a tad abruptly for me, but it was a book I found hard to put down. 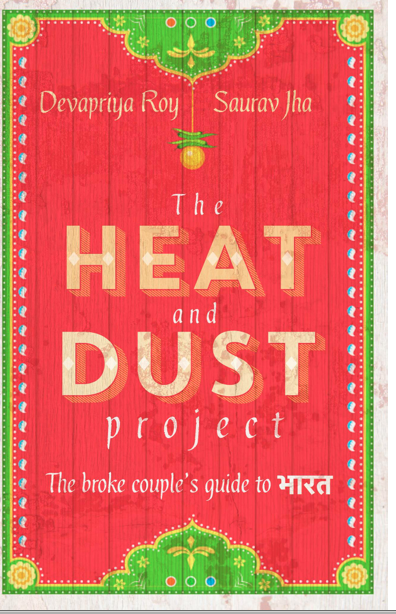 This entry was posted on July 9, 2015 by Preeti Singh in Book Reviews, Memoir, Non Fiction and tagged devapriya roy, saurav jha, the heat and dust project.